Seeing photos, film and hearing songs about the mighty, romantic Niagara Falls has always made me long to see them for myself. 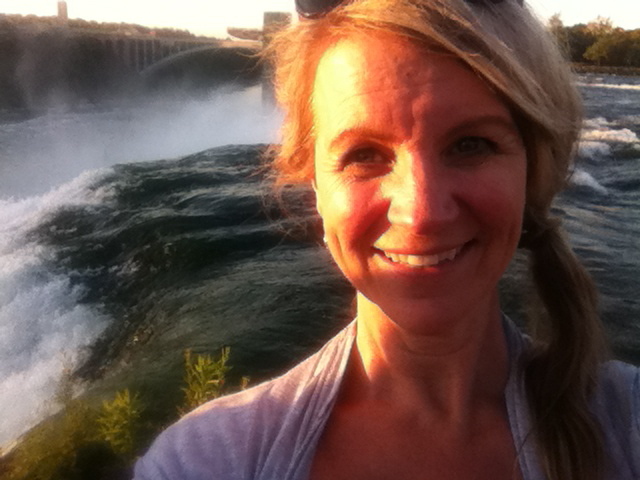 Upon excellent advice given by my lovely friend, Kathy (see “Meet Kathy”), I was to soak up the views of the Canadian side of the falls to my heart’s content then head up to Niagara-on-the-Lake, Ontario to take in a show at the Shaw Festival. I was without a good map of the region and couldn’t use my cell phone without an international plan and when I got across the bridge into Canada I went north, only to realize after driving and driving that I was going the wrong direction. Who would have thought that I would have so much trouble finding the falls? I stopped short of asking people “where the hell the are the falls?” as I made a u-turn. 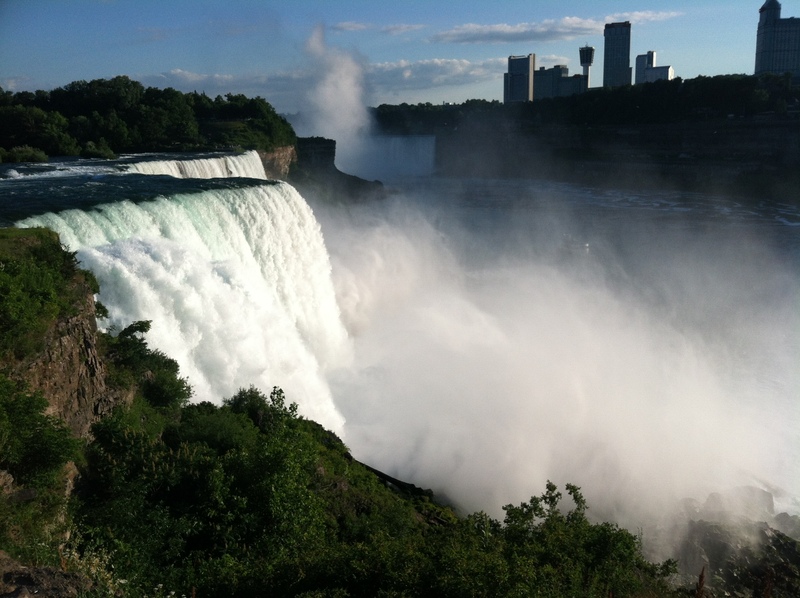 My second wrong assumption was assuming the falls flow toward the USA. Nope, the river runs north and the falls descend toward Canada. Not that it matters, it is just funny to observe my misconceptions. I could have been one of the stubborn ones in the 16th century to insist the sun revolved around the earth. 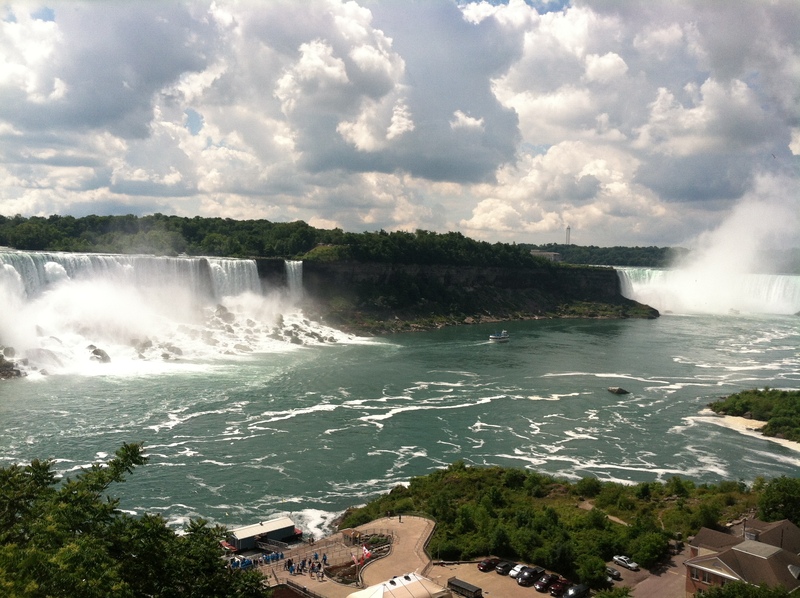 Having come from so many beautiful national parks I was expecting Niagara to be surrounded by hikes and woods. Boy, another WRONG assumption! 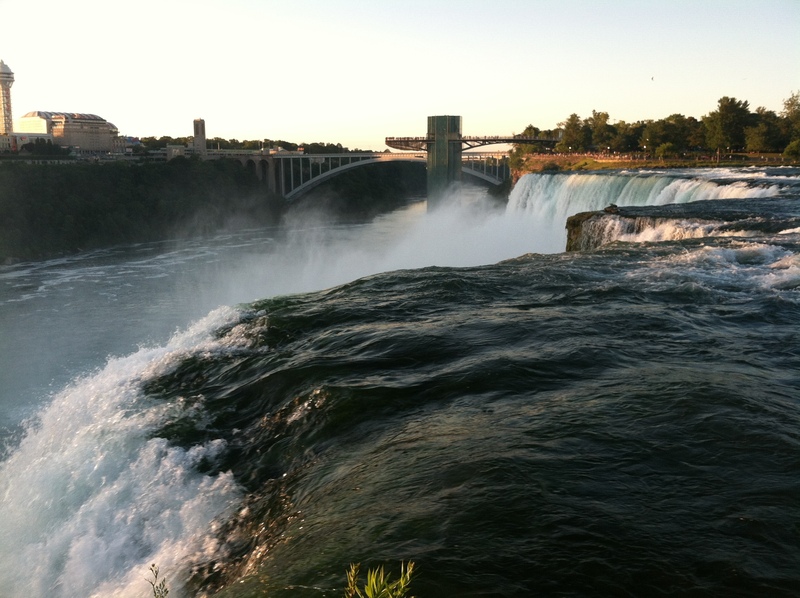 The falls are smack dab in a tourist mecca with high rise hotels and pavement everywhere. 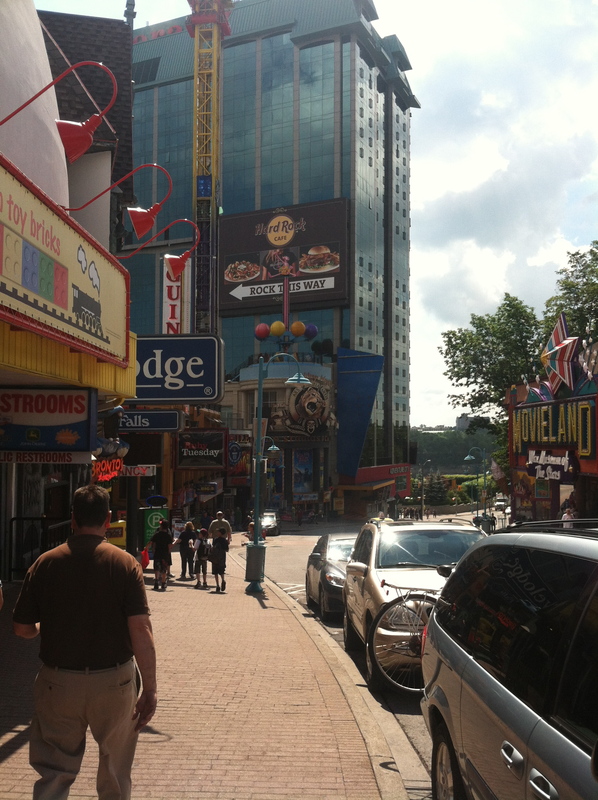 It was TACKY, with amusements and loud storefronts vying for attention and tourist dollars. Ignoring the hot dog stands and approaching the falls I almost held my breath with anticipation. It was a beautiful day and I could see them in all their glory but again my preconceptions fought with the reality. I was seeing them from across the river which is the better view but it also makes them look smaller. They are very wide and flow in three sections but are so much shorter than I expected. So I was rather shocked at my disappointment. Here was a place I had wanted to see since I was a kid and it was rather ho-hum! But it was the tacky touristy atmosphere that really did me in. I was so grateful for our US National Parks that keep our beautiful natural wonders pristine and don’t bow to the need to make money off of every inch of landscape. I walked the length of falls and enjoyed the views, spending one and a half hours snapping pictures, but I was anxious to head north and get away from the mobs, hotels and fun houses. The drive between Niagara and Niagara-on-the-Lake was beautiful and I was soothed by meandering along the river. Niagara-on-the-Lake is a darling town. 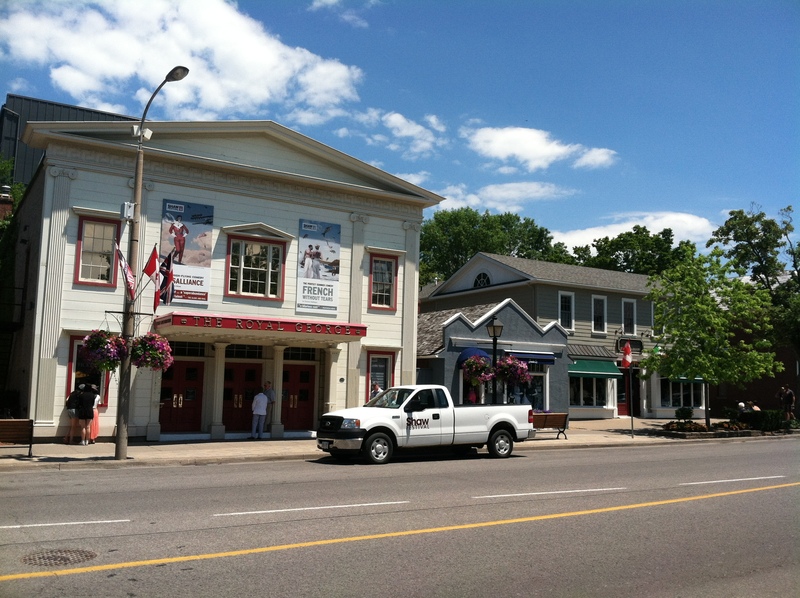 It is home to the Shaw Festival which produces the work of George Bernard Shaw and playwrights around his era in four theaters interspersed throughout the quaint streets. I bought a ticket to Misalliance and immersed myself in a blissful afternoon of theater. It was masterfully acted, beautifully conceived and I wished I was staying longer to see more of their shows. 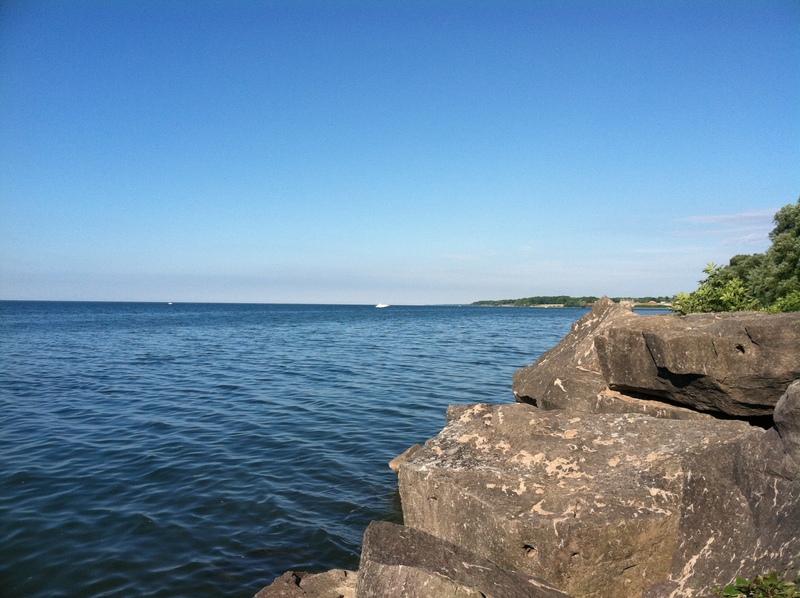 Time stood still for a blissful hour as I sat at the edge of Lake Ontario staring across to Toronto. I was mesmerized by the calm beauty of it all. 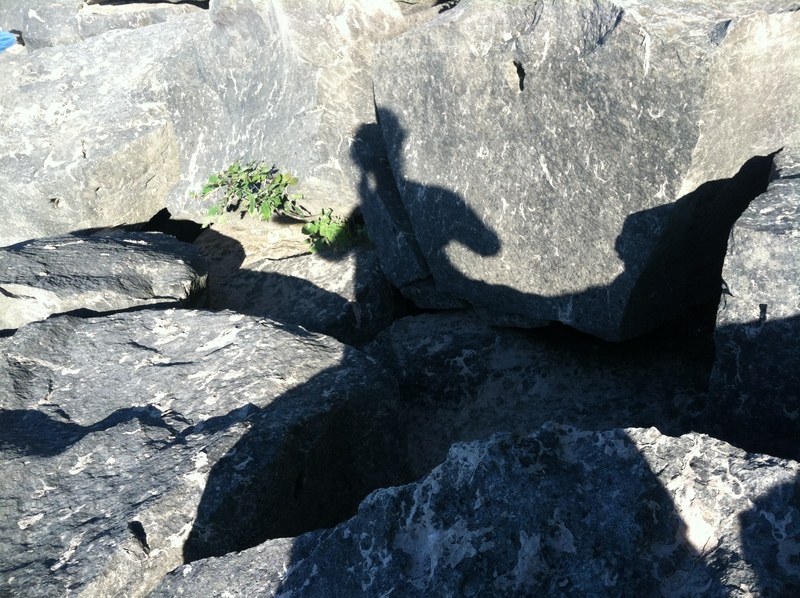 I played with more shadow portraits, this one an appropriate cross between a mermaid and a mermaid riding a whale, then I hopped back in the car to drive back to the U.S for a glimpse of the falls from “my” side. I wasn’t expecting much this time, so I was pleasantly surprised to walk along a beautiful park setting to a very close view of the falls. You can get right up to the top and peer over as more than 700,000 gallons of water per second pour into the river below. It was quite a rush, the extreme power of the river pulsing into your veins. 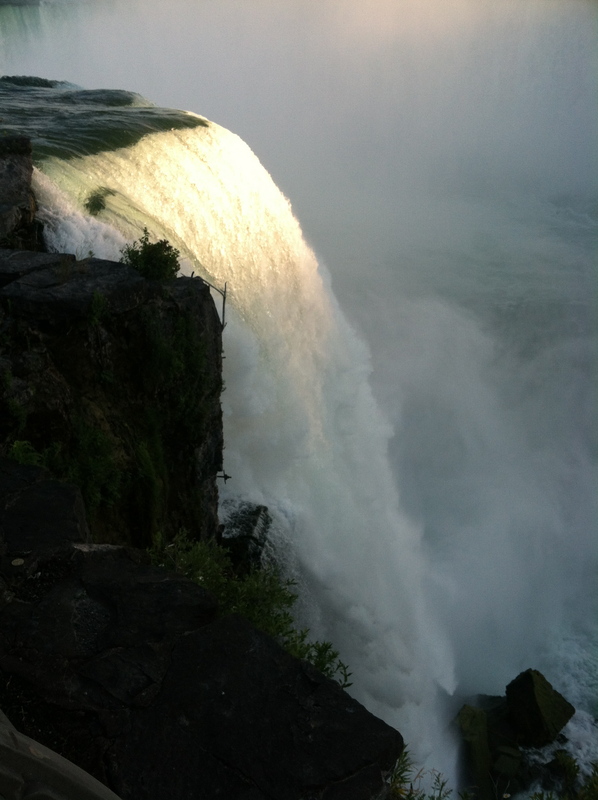 So even though I was seeing the falls from the top and sides it was more up close and personal. 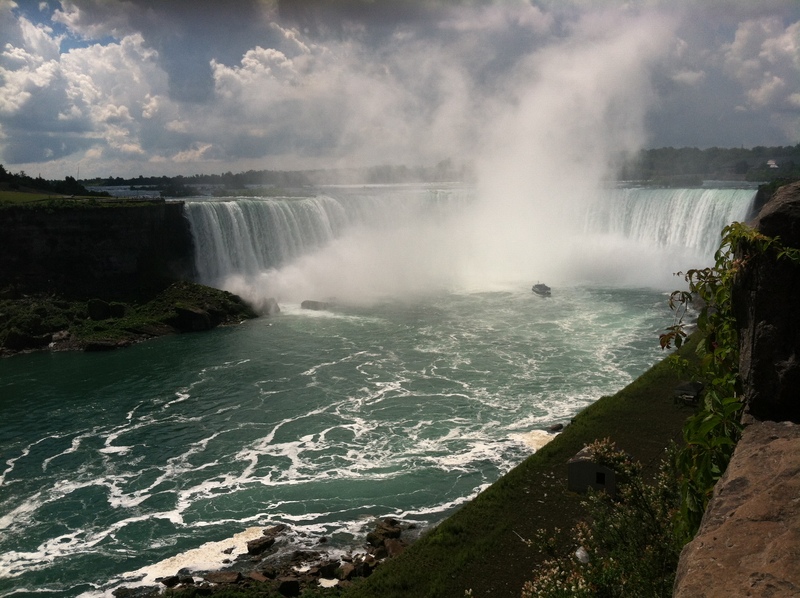 It completed the visit for me, and I was glad that I experienced the falls from both sides of the river to leave me with a more majestic sense of their beauty and wash off the tainted T-shirt and amusement park ambience. glad you moved on….Sami and I will be there on the 30th of NEXT month. She has been to the falls, but i think she may have been 12ish. We will peek at them an go off to Niagara, St Catherines and then Rochester for the night. When we leave Rochester, we are off to Albany via the Finger Lakes (who can miss them?). OHHHH–and in MI, I will be visiting a a farmer friend of mine. We get to his ranch mid afternoon and go for a plane tour of the Great Lakes and fly to dinner somewhere. Church and the county fair the next day then he flies Sami to Cleveland and I drive the car there. Another gathering of games and dinner with my friends there. We are doing the mini version of your tour–ten days, but every night with friends. And then I am off for 7 days on the Megabus seeing friends and Sami may come along for that too! So nice to travel. Kisses to you. I made kale salad, get the recipe off my FB–so yummy!!! “Finger Lakes (who can miss them? )”- ME!! I drove right past them! Your plans sound amazing. I wanna fly to dinner somewhere! 🙂 And what’s the Megabus?